For What It's Worth: Blog Hop is back! What book influenced or changed your life? How did it influence/change you? Willow by Julia Hoban. This book moved me so much. I'm very shy and reserved like Willow and watching her struggle through high school and try to open herself up to love, friendships and life really moved me and made me decide to get out there more. That book is part of the reason why I started blogging. I'm not getting any younger so it's as good as time as any to get over my fears. enter my CONTEST to win Across the Universe or Anna and the Frenck Kiss. Don't forget to leave a link and I'll hop back! I have willow in my reading pile right now. Sending Hugs and happy dances your way. Interesting choice of books. :) I'm glad you starting blogging because of it. 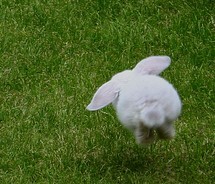 Have a great Hop! That was a great answer. It's interesting how some people withdraw into themselves and some take opportunities to change and grow. I'll look into that book. Ooh, I've never read that one. I think it might have to go in my tbr pile. Willow sounds like a good one...thanks for sharing. That's great! Isn't it amazing how some books speak to all of us in a different way? Hopping through. I've heard of Willow but haven't read it. I definitely should. I don't have a single book to point to. Come by and see why. © For What It's Worth: Blog Hop is back!